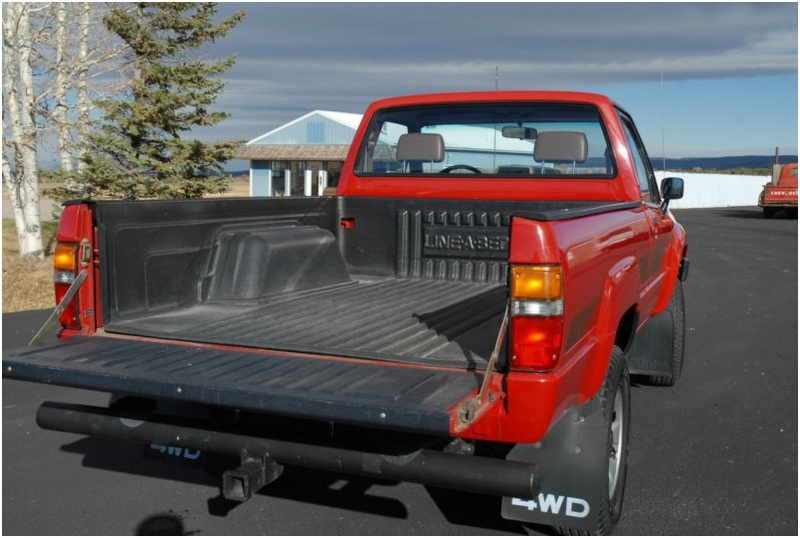 If I’m honest, I find the looks of the 1980s Toyota Pickup truck to be a little mundane. It seems to lack some of the excitement and character of many great overland vehicles and leaves me somewhat uninspired. 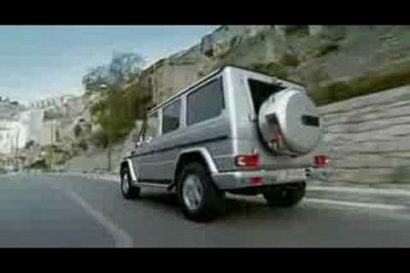 That being said, it would be one of my first choices when choosing a vehicle in which to travel the world. 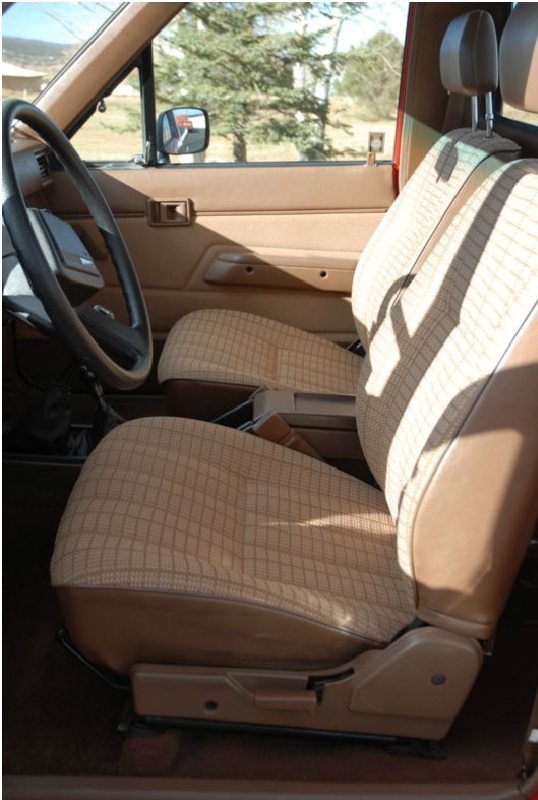 Unlike many trucks that earn their fame for an innovative design, or cutting edge technology, the 1980s pickup has earned its reputation for versatility and unparalleled reliability, through strenuous use in some of the harshest environments. 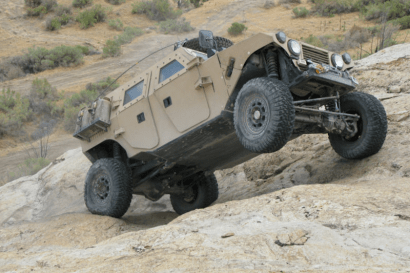 These Toyotas have proved that they can get the job done time and time again while being pushed up to and beyond their limits. It is this incredible durability that has made this truck so desirable and caused low mile vehicles, like this 1986 model to become rare. 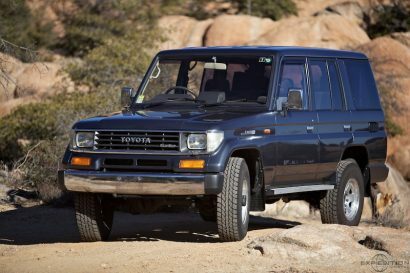 With just over 18,000 miles, this SR5 is one of the best preserved examples I have seen. The seller claims that the truck spent most of its life in Arizona parked in a garage with little to no use before being sold to the previous owner. They appear to have maintained all the original equipment and kept it in stock condition, including the radio and electronics, with the exception of an additional security system that was installed for added safety. 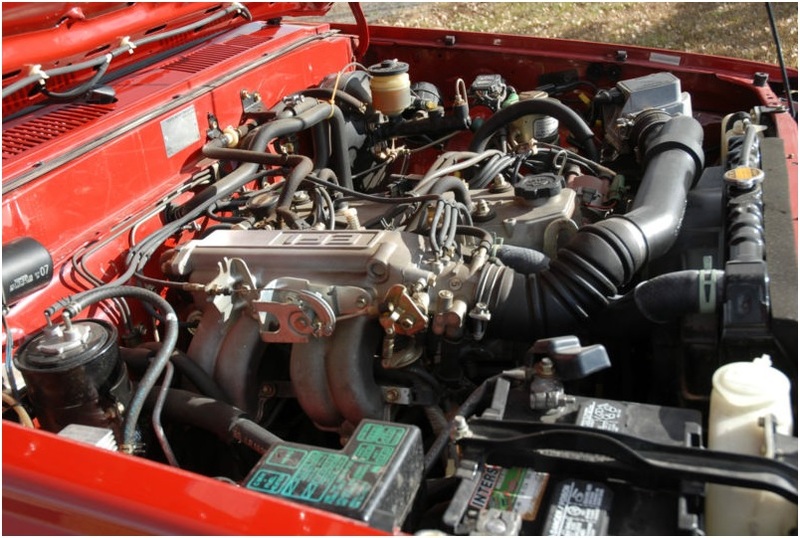 The engine, transmission, and mechanical components are all original and run “as new” according to the seller. 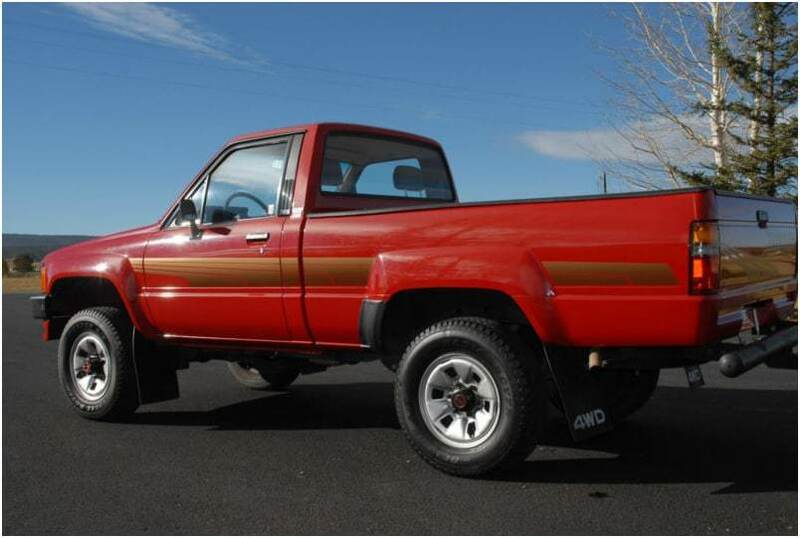 Whether you’re looking for a daily driver or a collectors car, this practically new 1980s Toyota Pickup is a great find and a rare opportunity. PERHAPS THE NICEST, MOST WELL PRESERVED 1986 4X4 PICKUP IN THE USA. I BOUGHT THIS TRUCK FROM THE NEXT DOOR NEIGHBOR OF THE ORIGINAL OWNER IN ARIZONA. THE TRUCK WAS ORIGINALLY SOLD IN CALIFORNIA AND THEN MOVED TO ARIZONA. WAS PARKED IN A GARAGE WHILE THE ORIGINAL OWNER SPENT MANY YEARS OVERSEAS. THE NEXT DOOR NEIGHBOR BASICALLY TOOK CARE OF THE TRUCK…AND AFTER SEVERAL YEARS OF LITTLE OR NO USE, HE BOUGHT IT FROM THE ORIGINAL OWNER. HE PUT A FEW THOUSAND MILES ON THE TRUCK AND I BOUGHT IT FROM HIM. I HAVE THE CARFAX TO VERIFY THE MILEAGE AND OWNERSHIP HISTORY. PLEASE LOOK AT ALL THE PHOTOS. THE ONLY BLEMISHES ON THIS TRUCK ARE THE DECALS HAVE A FEW NICKS IN THEM AND THE REAR OF THE TRUCK HAS A SMALL STAINED AREA BENEATH THE TAILGATE. (LOOKS LIKE SOME SORT OF GLUE ON THE FINISH…BARELY NOTICABLE. OTHER THAN THAT, THE TRUCK SHOWS AND RUNS “AS NEW’. I KEEP IT ON A BATTERY TENDER. START IT ONCE A MONTH AND LET IT WARM UP TO TEMPERATURE. THIS IS THE TIME CAPSULE OF ALL TIME CAPSULES. TRUCK COMES WITH AN EXTRA REMOTE FOR THE SECURITY SYSTEM THAT WAS INSTALLED. IT HAS THE ORIGINAL AM-FM THAT WORKS PERFECT. THE TRUCK IS A 10 OUT OF 10…NO DISAPPOINTMENTS. I did not clean this truck, polish the wheels or armor all anything…I JUST TOOK THE COVER OFF AND TOOK PICTURES,. HIGHLY DETAILED IT WILL SHOW EVEN BETTER. I LIVE 35 MILEWS WEST OF TELLURIDE COLORADO AND 60 MILES FROM MONTROSE COLORADO, BOTH OF WHICH HAVE AIRPORTS. FLY IN AND DRIVE IT HOME. I WILL BE HAPPY TO PICK YOU UP AT THE AIRPORT.